Ajay Shah, Professor at the National Institute for Public Finance and Policy, joined us for an off-the-record IDFC-U discussion on "Fundamental Reform in Indian Finance" on July 6th, 2015. During this talk, Shah highlighted the reforms that have taken place in the last 18 months and elaborated on a road map toward adopting a single Financial Code that would replace the existing legal framework for the Indian financial sector. Shah also provided an overview of the crises and financial reforms that have taken place since 1991. He then described the process of setting up the Financial Sector Legislative Reforms Commission to replace the archaic laws governing the sector and the work done by the Commission. The approach adopted by the Commission rests on the twin pillars of market failure and public choice theory and the focus is on removing discretionary powers, creating a system of checks and balances and accountability mechanisms, and defining a new financial architecture. It has advocated the setting up of new institutions such as a Unified Financial Authority, Resolution Corporation, Public Debt Management Agency, and streamlined the functions and powers of existing ones. The legislative process of passing the law is under way but in the meanwhile it is important to build institutional capacity and create these agencies. 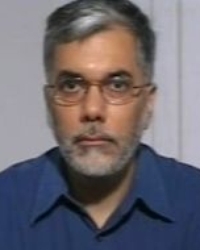 Ajay Shah is the Head of the Macro/Finance Group at the National Institute of Public Finance and Policy. He has held positions at the Centre for Monitoring Indian Economy, Indira Gandhi Institute of Development Research and the Ministry of Finance. He does academic and policy-oriented research in the fields of Indian economic growth, open economy macroeconomics, public finance, financial economics and pensions. In the past decade, he was extensively involved in the policy process for reforming the equity market and the New Pension System. He holds a Ph.D. in Economics from University of South Carolina and a B. Tech from Indian Institute of Technology, Bombay.